The eBook and Paperback are now available! And Sullivans from around the word coming together to celebrate vows of forever with auto mogul Zach Sullivan and dog trainer Heather Linsey—and pro baseball star Ryan Sullivan and sculptor Vicki Bennett. If you are already a fan of the series, I hope you love getting to reconnect with all your favorite San Francisco and Seattle Sullivans! If you are just getting started, this is a great way to meet everyone, and you can find a Sullivan Family Tree at bellaandre.com/sullivan-family-tree. “Every Beat of My Heart is rich with the Sullivan siblings taking care of each other. [This] novella is full of surprises and makes me look forward to more from the Sullivans. LOVE IT!” ~ 5 stars from Katie L.
“It was a great joy to reconnect to the Sullivans. Thank you Bella Andre for this surprise for your faithful fans. I look forward to many more hours of wonderful reading from your Sullivan family stories.” ~ 5 stars from Darla B. “True love revisited! Bella Andre you've nailed it once again. I have loved the Sullivan's from Book 1 and have never been disappointed. This beautiful Novella was like going home to the family I know and love, all the people I know so well from their stories and the introduction of a few new ones. Thank you for sharing this amazing story and I can't wait to read Suzanne's story.” ~ 5 stars from Anne B. “Absolutely love this book!” ~ 5 stars from Connie H.
“Awesome story! 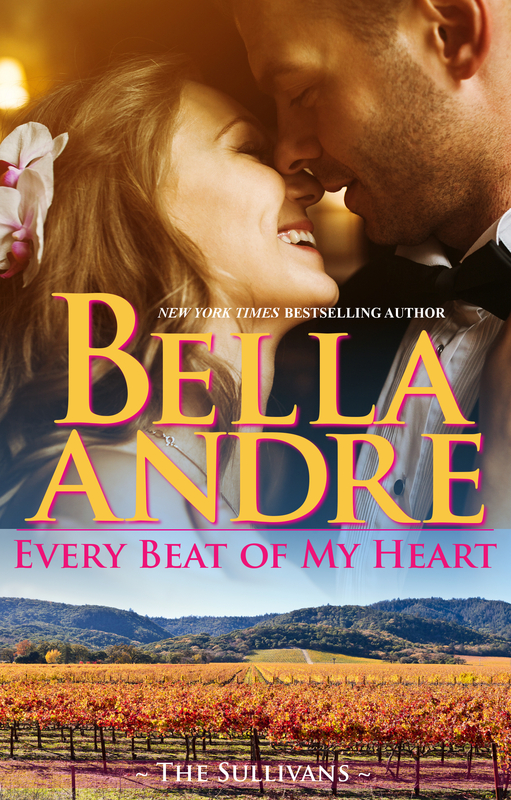 Once again, Bella Andre wrote another amazing Sullivan family story.” ~ 5 stars from Maria L.
“Bella has done it again with her storytelling. She makes you laugh, cry and cheer to be a part of this wonderful family!” ~ 5 stars from Jennie F.
“Such a beautiful story! The Sullivan's are one of my favorites! Thank you for the wedding story and a peek at how everyone is doing. I feel like I went to a family reunion of my favorite book characters. Simply wonderful!” ~ 5 stars from Denise N.